Each class decorated their classroom door as a book cover, with all the staff and children dressed up as characters from each book. 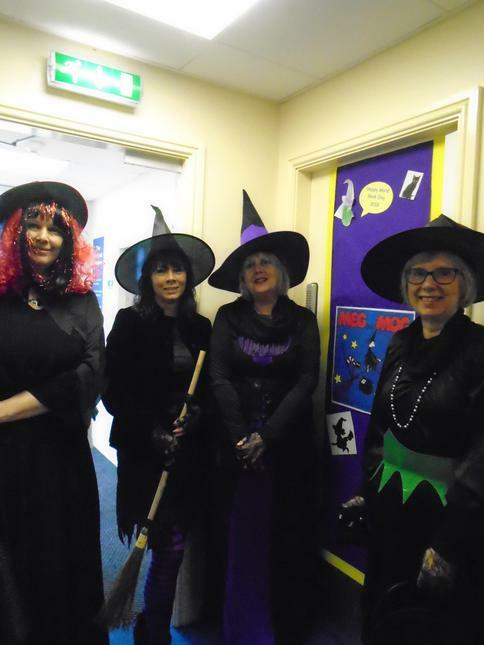 Mrs Riley, Mrs Stamp and the office staff dressed as witches from the Meg and Mog stories. Mrs Dudley even knitted a little black cat! Take a look through the class pages to find out which books the rest of school celebrated.